The Ancora’s, is the cuisine of the tradition, of the territory, of the sea. 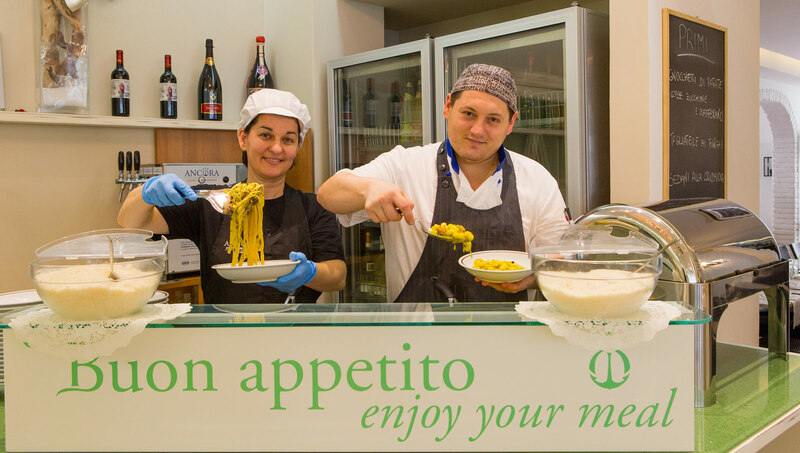 Every day you will choose what to taste: seafood, vegetarian food, and the traditional cuisine of Romagna. We are happy to satisfy our guest wishes. And what about the buffet? 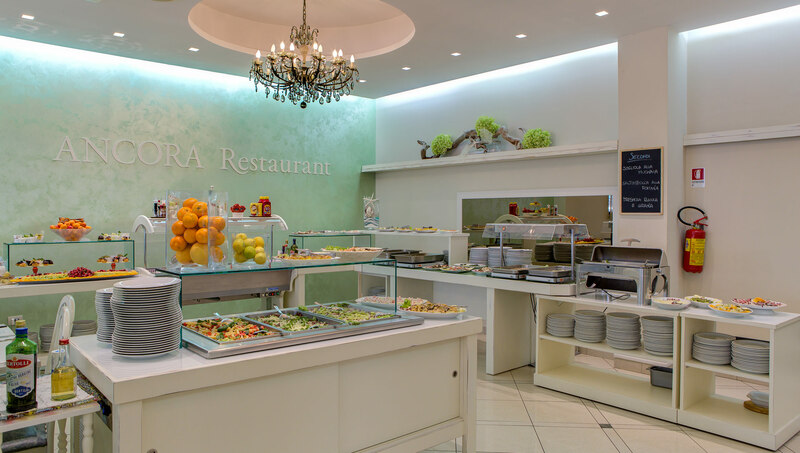 At the Ancora Hotel it’s very rich, not only side dishes and vegetables. You can taste many different appetizers, typical fish delicacy and our piadina romagnola. Here at the Ancora Hotel every meal is a celebration! Everything is easy, times too: in fact you have flexible dining time. If mummies wish, children can eat a little before their parents, so that later they can relax with daddies. And babies? All mummies are happy to find every day a fresh creamy vegetable soup made with the vegetables they have chosen. but most of all with our Heart. 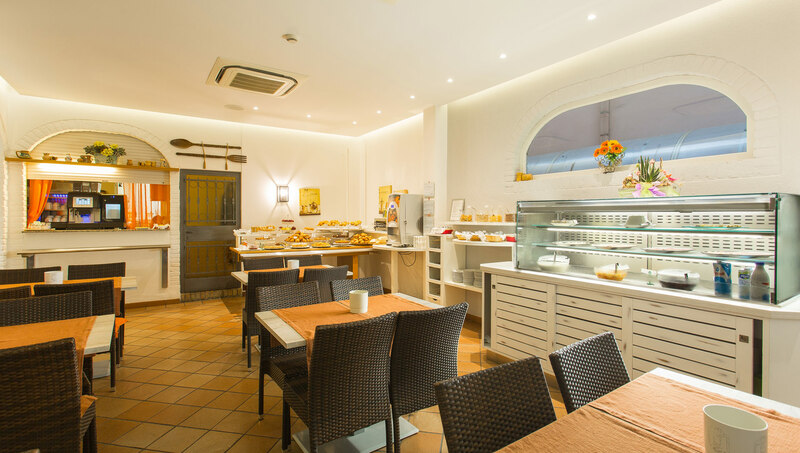 Every day you will find fresh croissants and pastry; chocolate, apple and many other homemade cakes; yogurt plum cakes or raisin pastry; yogurt with cereals. Fruit juices, milk (soya milk too), fresh and in syrup fruit; milk, whole grain, white or rye bread and all kind of jam you can imagine; or nutella if you want! What about a toast sandwich? Eggs, cheese and sliced meat for those that prefer begin the day with a salty taste. Adults and children, sportsmen and gourmands can’t resist it. And if you awake late in the morning, croissants and cappuccino will be served at the Hotel`s bar. Gluten Free breakfast available on request.